A clever and honest revamp of your property is at the heart of generating the best possible sale price in today's market. More sellers are coming to realise that investing in a refurbishment for market is also adding value. Do it honestly and you will have a competitive advantage over other properties for sale in your area. Our expertise as both fully licensed Estate Agents and Valuers plus having the skills to transform your property for sale or letting will help place you in pole position right from the beginning. Your property will also have a much better chance of passing all the pre-purchase property health checks so your sale can close without any problems. Paul Tobin Estates Agents offer a full turnkey service to suit all sellers, whatever the budget, we can make some improvements. Over the past 12 years, we have built loyal & long-standing relationships with our clients who constantly refer us to their contacts. We give a superior and personal touch to every instruction. Have a chat today - 01 902 0092 Email us at info@paultobin.ie Call Paul directly 00353868271556 if you wish to book an appointment to meet at your property. It may already be beautiful which is even better, we can then discuss the next steps on how to show it off in the market at its very best. Reach out to multiple professionals — especially for larger projects — and don't settle for the first quote you receive. Comparing multiple Drogheda professionals' quotes and experiences can help you find the one that’s best for you. Ask a lot of questions now, so you won't have unexpected answers later. Find a home design professional on Houzz. Narrow down your search by type of professional and location. 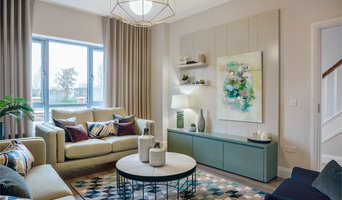 Browse Drogheda portfolio photos, read client reviews and contact each home improvement professional for more information. Check out the information in the specialised professional sections too for tips on how to hire the right professional for your project.